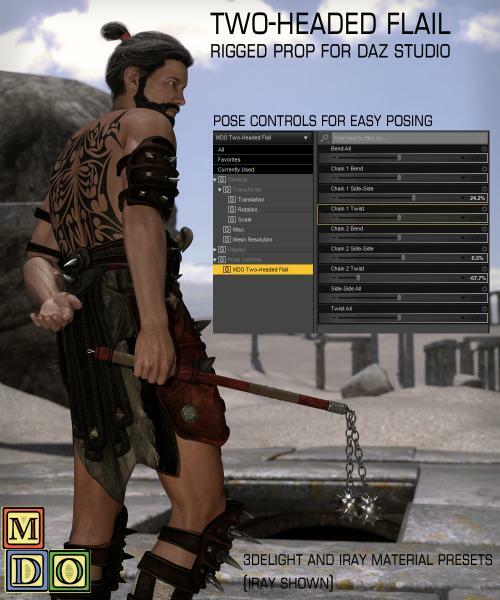 A rigged two-headed flail prop for DAZ Studio. Rigged and saved in DS4.9, may work in earlier versions but not tested for them. Great prop, thank you very much! I hope my rating is correct. It should be 5 stars, but my mouse slipped while clicking; so I don't know if I gave less than 5. Sorry!